Ryan Sook is a major talent for DC Comics. I loved his Kamandi work in Wednesday Comics and have been waiting to see what his next project will be. Yesterday I discovered he was the artist behind these special White Lantern variant covers. 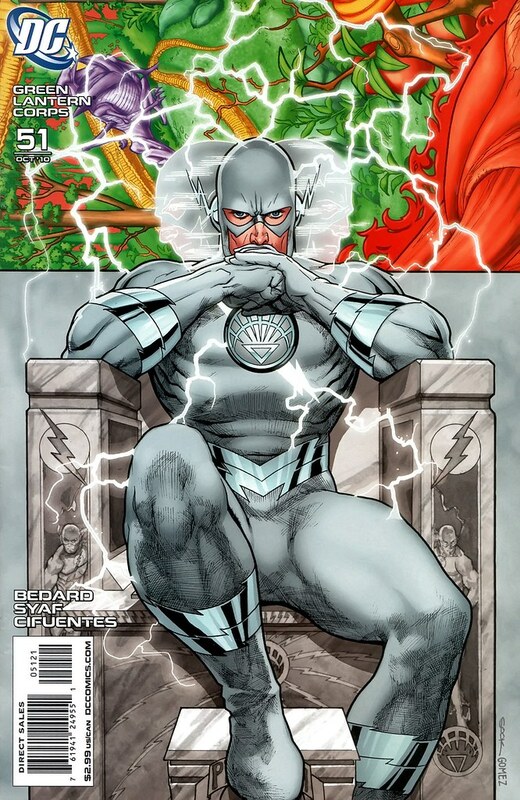 Green Lantern Corps 51 had the Flash's main foe, Professor Zoom on the cover in a White Lantern uniform. No idea what the image really means as I won't read the comic until my shipment arrives. The comic store I visited were selling the variants anywhere from $7 - $12 depending on the character. John Babos over at Comics Nexus is keeping track of all the White Lantern variants. Babos also has pieced the variants together and discovered they form an interlocking image, somewhat like the Sistine Chapel. Nuff Said!